Etsy seller futurecolors‘s mini-book You Otter Know (complete with illustration of Alanis Morissette because, hey… punny!) mixes education with… things that aren’t very educational. Unless you’re the type of person who thinks that people sprang from dinosaur eggs a mere 10,000 years ago. 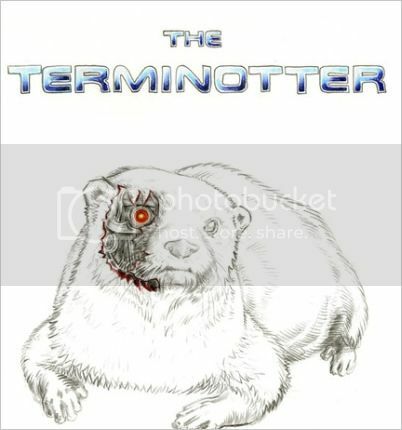 There are over 12 types of otters in the world and they are all in this zine, plus some celebrity guests. And, yes, obviously the Predotter falls under “educational,” and I fully expect to see it introduced into the Florida school system’s curriculum any day now. 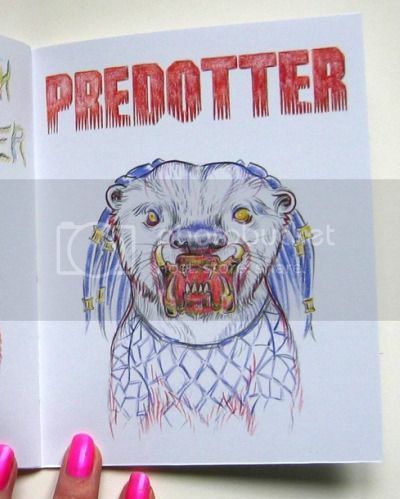 Via Dark Horse Comics, who–like Predotter and Terminotter–will systematically hunt down and eliminate his human prey. With tiny, frantic nibbles.